I personally think that anytime past mid-November is holiday season. I know some stores have had Christmas decorations up since July (no names, Selfridges naughty!) and if you’re in the fashion or press industry then you will know that “Christms in July” is a real thing but for those among us who didn’t have to explain the Christmas tree to a child in the middle of Summer and doesn’t work in fashion, I think mid-November is the time when you have to start getting yourself into gear for the holidays. So this is my list of all the beauty advent calendars that I have come across and that are available to buy now, I will add others as they are made available. One thing I will say is that they sell out very quickly so have to be quick. They’re usually such great value that you really can get such great products quite economically, plus when the children are all eating chocolate before 9am with theirs, you have a gorgeous new product to add to your bathroom shelfie. I’ve also noticed that this year there are more “12 day countdown” advent calendars which look amazing. They are cheaper than the usual 25 day beauty advent calendars and still allow you to get involved in the festivities, so take a look at those too. 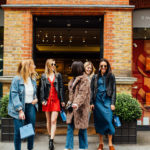 On the pricing, some of the calendars included are in excess of £300 (we’re looking a you Diptique and Fortnums) whilst there are others that are £45, and some of the 12 days calendars are around £25 so take a look and see what works for you and your budget. Take a look at the products included in the advent calendar, don’t just buy the brand you know. Are any full-sized products included? These make for the best value for money. Look at the product value vs the cost of the beauty advent calendar. The 2018 Amazon Beauty Advent Calendar contains a mix of 24 products from some of our most-loved beauty brands such as Elemis, Pai, Percy and Reid and Real techniques. Includes lots of full-sized products as well! One our favourites. You can only get your hands on M&S’s advent calendar when you spend £35 or more on clothing, home or beauty in store. This was my advent calendar of choice last year, fantastic value for money, same goes for this year, check your stores availability online. 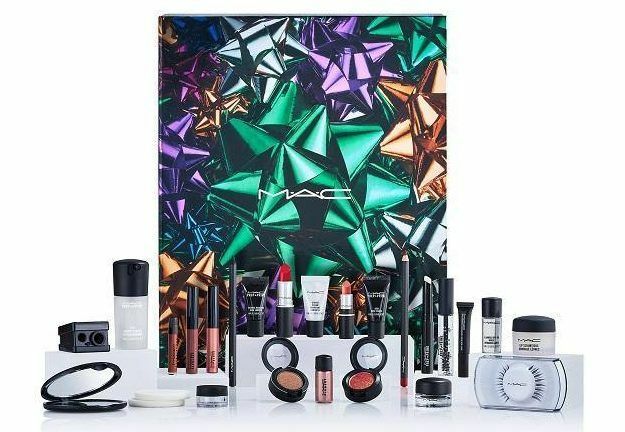 This is the first year of MAC’s beauty advent calendar, so we’re very excited. From perfect skin prep to dressed-up lips and statement smoky eyes, get ready to indulge in our treasure trove of shiny pretty things. 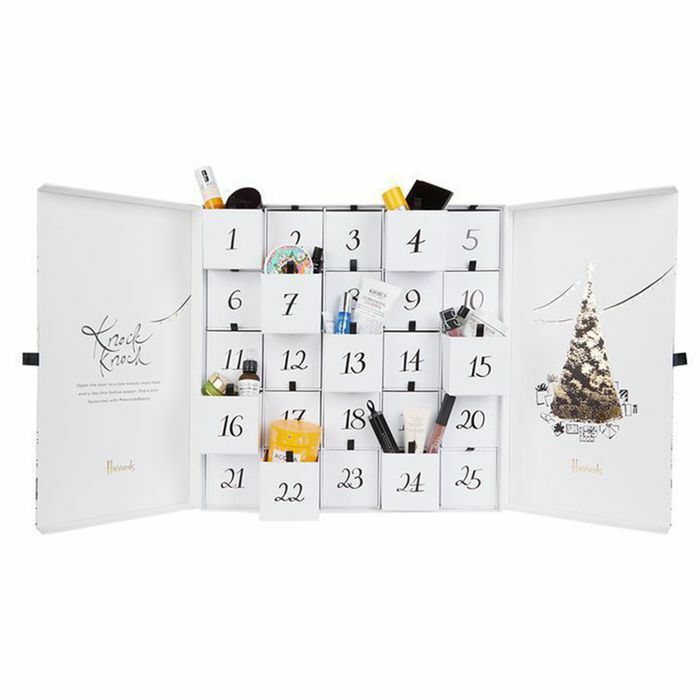 A 12-day calendar of full sized hand wrapped products, uncover a selection of classic products and new beauty must-haves, ranging from skincare and bodycare to makeup. 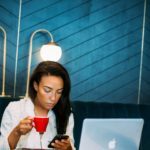 Brands include Molton Brown, Elemis and Illamasqua. At the more expensive end of the beauty advent calendars out there this year, but the Huda Beauty, NARS and Acqua di Parma goodies inside Harrods‘ beauty box are worth £680. A limited edition collection of NYX products that include the soft matte lip cream and butter gloss, as well as eyeshadows, highlighters, powders and blush. Available at Boots and Inside you’ll find fan-fave formulas in 24 new shades, a limited edition collection of NYX products that include the soft matte lip cream and butter gloss, as well as velvety eyeshadows, highlighters, powders and blush, available at ASOS and Boots. This one is worth it including full sized products from favourite Sleek Make-up, great value at £35. Decleor reminds me of leisurely spa days pure pampering, this calendar has been going for some time and each year the calendar is filled with customer favourites all of which are under 100ml so they’re perfect for travelling with.